With Nashville approving a new stadium and Sacramento moving forward on a new facility, it would seem league officials will have an easier time sorting out the first round of MLS expansion, with an announcement set for December. 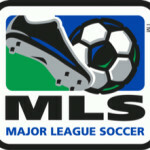 Here’s our monthly handicapping on MLS expansion. 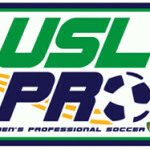 This list ranks the 12 official contenders for an MLS expansion franchise, as the league plans for a future 28-team circuit. Two teams are expected to be added in the next round of expansion, with two more announced in the next round. League officials have announced plans will be announced after the Dec. 14 owner meetings, with an announcement likely around Dec. 19-20. The league is currently at 23 teams with LAFC launching play in 2018, so in reality there are five slots available. The assumption is that the David Beckham expansion bid will succeed, putting Miami in one of those slots. But this does not mean Miami will necessarily be the 24th team: a stadium plan has not been finalized, and there are other candidates to enter the league first. With new stadiums in the works, either Sacramento or Nashville could theoretically be ready for play in 2019, with Miami pushed back to 2020. Or, if a new stadium plan is real, FC Cincinnati could continue play at Nippert Stadium until it opens. Really, this is now turning into a scheduling issue as much as a selection issue — and there is an abundance of riches for MLS. Here is our November 2017 handicapping of MLS expansion prospects. We’ve been posting these odds since last fall based on chats with industry insiders, and it’s interesting to see how contenders rise and fall. When we evaluate these odds, we rely on a few factors. First, MLS officials have made it clear they judge bids by several criteria, and a prime criterion is a solid ownership group. Makes sense: MLS is built for the long haul, not just for a season or two, and investors buy into the league, not just their specific teams. Next is the strength of the market on a financial basis: Fortune 500 headquarters and large corporate presences. (The size of the market isn’t as important as the financial strength of a market.) Finally, facility issues are always a big consideration, so the groups with firm stadium plans in place will fare better in the evaluation process. In short: MLS loves new stadiums built for pro soccer. Without further ado, here’s our summary of the 12 expansion bids and their odds for success as of Nov. 20, 2017. There are plenty of developments behind the scenes that will alter this list between now and a December announcement, of course, but if decisions were made today, we’re confident this list would come close to any final ranking. Sacramento: 1-2 It’s hard to see Sacramento as anything but a lock for an expansion team. We have an ownership group filled with big names—H-P’s Meg Whitman, the 49ers’ Jed York, as well as several Sacramento Kings owners—and a downtown stadium plan approved by city officials. Constrution has already begun on the facility, and the team announced a binding jersey sponsorship deal with UC Davis Health. The ownership group is certainly acting like an MLS bid is in the offing. 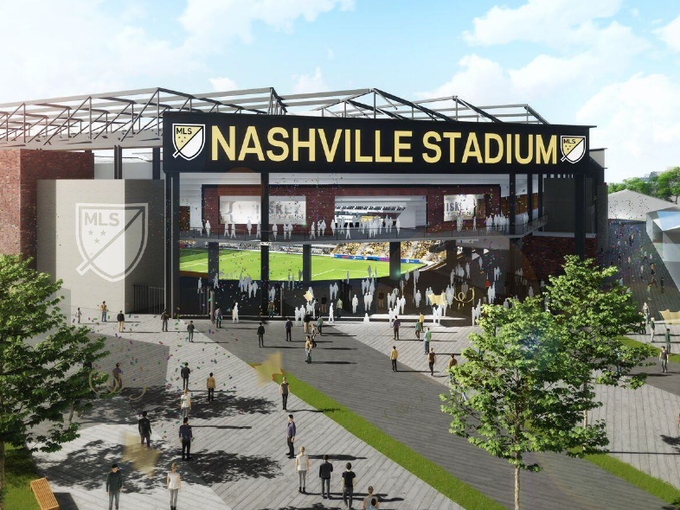 Nashville: 1-2 Public bonding for a new MLS stadium at the Fairgrounds Nashville was approved by the full Metro Council, and the Nashville SC owners are following a familiar blueprint by launching a USL team in 2018. There’s little doubt Nashville is a sizzling-hot market. Add in six Fortune 500 companies headquartered in Nashville, additional big-buck owners in the form of the Wilf family, and Nashville has plenty of advantages in this competition. Any bid with a strong ownership group and governmental support will have a huge advantage. Cincinnati: 1-1 Team owners, Hamilton County and city of Cincinnati are sparring over a new stadium. FC Cincinnati pitched a new stadium, but Hamilton County officials want the team to play at Paul Brown Stadium, home of the Cincinnati Bengals. MLS and FC Cincinnati officials rejected this option, leaving a proposal from the city as the best option. The Hamilton County stance probably has less to do with MLS soccer than the original terrible stadium deal Hamilton County made with the Bengals, so it’s no surprise FC Cincinnati rejected this option. But Cincinnati certainly has supported pro soccer at Nippert Stadium. The FC Cincinnati ownership has launched a training academy and youth program and announced an MLS jersey sponsorship—items on the MLS expansion checklist. With an ownership group with deep pockets and documented sports-business experience, those huge crowds will be a huge temptation to MLS officials. A bonus: MLS Commissioner Don Garber hinted that the soccer-only guideline in place for expansion teams may not be absolute. The lack of a solid stadium plan at this time is hindering expansion prospects. Detroit: 2-1 Tom Gores (Detroit Pistons owner) and Dan Gilbert (Cleveland Cavaliers owner) are the sort of owners any league would love to have, thanks to a combination of business acumen and sports-business experience. But the decision to scrap a new soccer stadium and instead work with the Ford family, owners of the NFL’s Detroit Lions, on a Ford Field renovation may end up hurting the expansion bid. Then again, MLS Commissioner Don Garber has hinted that the soccer-only guideline in place for expansion teams may not be absolute. Detroit would need to build a pro-soccer organization (youth academy, secondary affiliate) from scratch, along with the stadium. Phoenix: 3-1 This is the stealth candidate. Phoenix Rising FC owners have quietly put together an impressive bid, announcing backing from Goldman Sachs for new-stadium financing after enjoying success on the USL level. There is a lot of uncertainty in the Phoenix sports market with the Suns, Diamondbacks and Coyotes all seeking new or renovated facilities, and there may not be the sports marketing dollars from area corporations to allow for a new MLS stadium and associated sponsorship/naming rights. But Phoenix Rising ownership has quietly laid the groundwork to land an MLS expansion franchise. 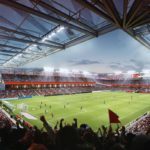 San Diego: 8-1 At one point San Diego was a lock to land a franchise, but political battles there have put the the SoccerCity initiative, a huge development at the Qualcomm Stadium site that includes a new MLS stadium, on hold. A referendum to allow a land transfer has been pushed back to November 2018, and San Diego State is openly seeking control of the Qualcomm Stadium site for its own stadium plan. There are some big names with the San Diego bid, but it may be a matter of too little, too late. As with Detroit, the San Diego bidders would need to build a soccer infrastructure from scratch. 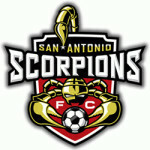 San Antonio: 9-1 San Antonio officials and San Antonio Spurs management can thank Columbus Crew owner Anthony Precourt for seriously impacting the city’s MLS bid. City officials are solidly behind public funding of an expansion of Toyota Field for MLS. Great crowds at Toyota Field for USL games and friendlies have impressed many. MLS loves a strong ownership group, and Spurs Sports—which also owns AHL and NBA G-League teams—certainly has the track record to be successful in MLS. Precourt’s plan to move the Crew to Austin is moving along, freezing out San Antonio, as MLS won’t place teams in both Austin and San Antonio. Raleigh/Durham: 15-1 Is there the state money to acquire land for a new downtown Raleigh stadium? North Carolina FC owner Steve Malik presented the plan for a $150-million, 22,000-seat facility constructed as part of larger development in downtown Raleigh. But it would require state aid of some sort, and so far there’s been little indication lawmakers will step up to put together the land parcel. Raleigh/Durham is a tweener market: minor-league sports like baseball do well, but it’s no secret the NHL Carolina Hurricanes are struggling. Bonus: high-tech industries in the Triangle are a natural fan/sponsorship for a sport like pro soccer. Tampa Bay: 25-1 When St. Petersburg voters approved an expansion of Al Lang Stadium to accommodate the Tampa Bay Rowdies’ bid for an MLS expansion team, they didn’t vote for any public funding. Tampa Bay is a hot market, and a stylishly upgraded Al Lang Stadium on the waterfront could be a major community amenity. Rowdies owner Bill Edwards needs to come up the $80 million to expand Al Lang Stadium and the reported $150-million expansion fee–but he does have a big lawsuit against his St. Petersburg-based Mortgage Investors Corp. to defend, leading to some question whether he can pull off the financials needed for a new stadium. St. Louis: 55-1 Voters emphatically shot down the idea of public funding for a new MLS stadium. Since then, reps from the St. Louis ownership emphatically shot down any suggestion that they could move forward with an alternative stadium plan. Is any MLS expansion to St. Louis dead? It sure sounds like it, but we’ve seen stranger things than a potential MLS expansion franchise rise from the dead. Charlotte: 70-1 With Mecklenburg County bailing on public financing/funding of a new stadium and the city of Charlotte totally uninterested in owning Memorial Stadium, much less funding an expansion for MLS, it looks for the moment that a bid once considered a strong contender is now a definite long shot. Yes, there’s talk, but not much. Indianapolis: 500-1 Ersal Ozdemir’s Indy Eleven has been tremendously successful in the NASL, but he’s come up short in attracting any public financing for a new stadium. It would take a miracle to see Indianapolis snare an expansion team.